These full car train dominations are part of CBS Outdoor and the MTA trying "new and innovative ways to create alternative advertising revenue streams". 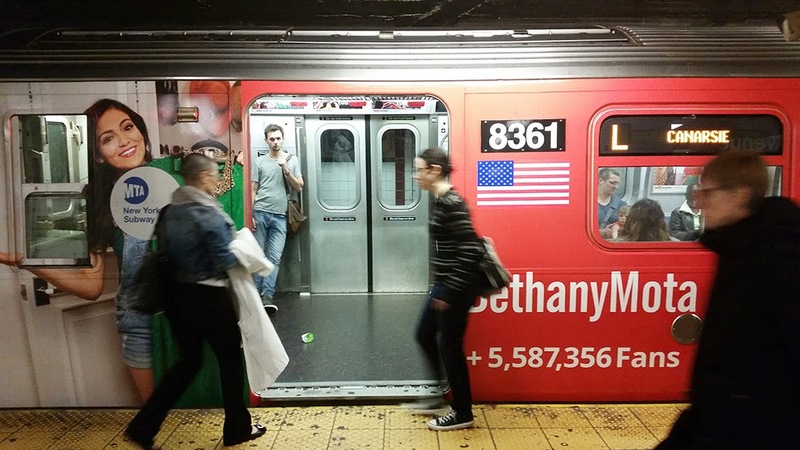 Not only is the entire L-train wrapped top to bottom with YouTube advertising, but every ad within each car is also for the same YouTube campaign. The result is an overwhelming experience which is simply unavoidable, that being exactly the point. Ultimately these are stunts, infrequently popping up once in a blue moon when a company has a particularly egregious amount of money to spend on a campaign they are pushing harder than most. They confirm that for the right price, pretty much any space in the city is for sale, but to what ends. 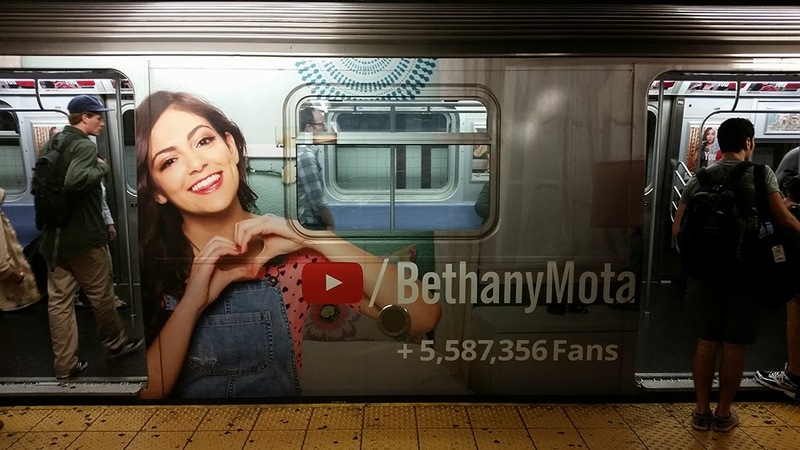 The notion that a few hundred thousand dollars, or whatever it cost YouTube to pull off this monstrosity, will help the MTA in any real or noticeable way is preposterous. With an annual operating budget in the tens of billions of dollars, advertising revenue contributions to the MTA system are meaningless in the grand scheme of things. In fact the removal of every single ad within the entire MTA system would cost riders a mere 2.5 pennies per ride, or thereabouts.